Name : Someone tamed a wolf! 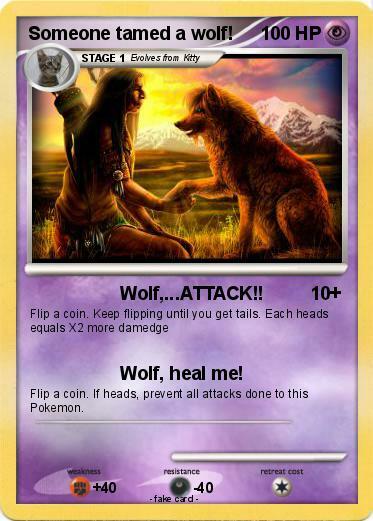 Attack 2 : Wolf, heal me! Flip a coin. If heads, prevent all attacks done to this Pokemon.